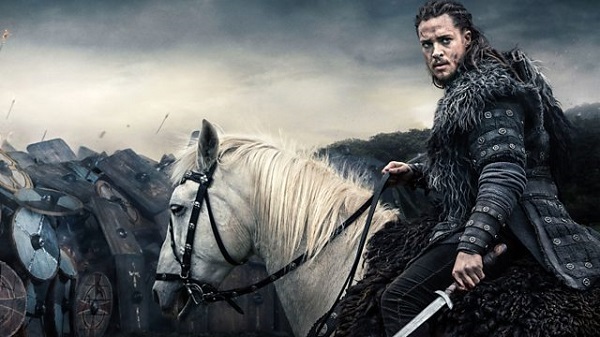 For fans of shows like Game of Thrones and Vikings looking for a show to hold their attention, The Last Kingdom might be able to give them that fix with its second season (that just began airing), which picks up where its first season left off. After the battle of Edington, the Kingdom of Wessex has repelled the Danish invaders and their king of East Anglia has converted to Christianity. With peace secured, King Alfred (David Dawson) plans to continue his ambition to become king of England, while Uhtred of Bebbanburg (Alexander Dreymon), AKA Uhtred the Godless, goes north to free the king of Cumbria and set out to reclaim his birthright - that has been usurped from him. The first episode of the second season starts with a recap of the first season which is a great way to get newcomers up to speed - even if is only really beneficial for British audiences since the series has been acquired by Netflix in the States. The basics are Uhtred was the son of a Saxon lord, saw his father die in battle, was raised by a Danish lord and fought for Alfred in Wessex - where Uhtred saw his Cornish lover killed. The introduction should entice people to catch up quickly. The Last Kingdom is based on Bernard Cornwell's Saxon Tales series and the second season is based on the third and fourth novels. Cornwell is an incredibly prolific novelist in the historical fiction genre: he has written novels about Stone Age Britain, Arthurian Legends, the Hundred Years Wars, the Napoleonic Wars, and the American Civil War. Cornwell's work has traversed a fine line, combining elements from swashbuckling adventure, serious darkness, and being as historically accurate as possible. The Last Kingdom has managed to capture this delicate balance well. This episode sets out the plot threads for the upcoming season: Uhtred and his companions go north to help Guthred (Thure Lindhard) to become king of Cumbria in exchange for him helping Uhtred in his mission in Northumbria, exploring the complex relationship with the Danish lord Kjartan (Alexandre Willaume) and his son Sven the One-Eyed (Ole Christoffer Ertvaag). It sees Alfred prepare to make alliances and shows a spark starting to form between Uhtred and the nun Hild (Eva Birthistle). There is certainly a lot to take in, yet if the second season is like the first it will be a season of two distinct halves. In the first episode of the first season, Sven was shown to be a young pervert, forcing a young girl to strip naked and his punishment was the loss of one of his eyes - unfortunately, later his family kidnaps that girl. We finally find out what happened to Thyra (Julia Bache-Wiig) and Sven is actually portrayed more sympathetically than the rest of her captors. It adds an extra dimension to the character and one of Cornwell's best features as a writer is showing good guys and bad guys on both sides - or if you prefer, similar to how Game of Thrones portray characters and factions. Hild shows herself to be quite the badass, growing a lot since her introduction in Season 1 Episode 8 - where she was raped by a Dane. She takes on the role Brida (Emily Cox) had in the first three episodes of the first season - being the friend and fighter and having an underlying romantic tension. She provides the humor in the episode as she tells off a hungover Uhtred - after throwing a bucket of icy water over him, and despite being a nun, she has no issue killing when required. This episode was an action-lite, but that's not to say it is without moments, since priests and monks in Cumbria rebel against the Danes when the bulk of their forces go to Scotland to raid and be inspired by Alfred's victory. The rebellion happens in a flash and a captured Dane is treated like the Roman nobles after Spartacus' rebellion in the Stanley Kubrick's 1960 classic. The episode is at its most visually distinct when Uthred and his companions have to outsmart the Danes holding Guthred who outnumber them, using their fear of the Gods against them at the middle of the night. This episode was a solid start for the second season doing its job of setting up what's to come and fans of the show will be satisfied. The Last Kingdom may not have the grandeur of Game of Thrones or the action of Vikings but it makes up for it with its likable characters, solid acting, and slight humor and for Vikings fans it makes an interesting companion piece.